Back in the day, many celebrities would mark their official coming out as a couple with a red carpet appearance. The “red carpet debut” has long been a gossip staple. But “red carpet debut” is not that relatable. How many of us get to walk red carpets on our own, let alone have occasion to walk one with a new romantic interest? Social media changed that though. On Facebook much was made initially of the “relationship status” label. Now civilians can show their followers their equivalent of a “red carpet debut” on Instagram. And celebrities themselves have made the “social media debut” the step before the “red carpet debut” in their own fame management playbooks. We’ve known about Channing Tatum and Jessie J for a few weeks now. He was recently seen at her show at the Wiltern in LA. His ex, Jenna Dewan, has moved on, with actor Steve Kazee. They made their social media debut at Halloween. They’ve since been papped together on several occasions, kissing, hugging, clearly not hiding. Which also gives Channing the green light. He shouted out Jessie J on Twitter and Instagram yesterday following her performance at Royal Albert Hall. It’s the first time he’s publicly acknowledged her. And, while they’re not together in the photo or anything, he would know that we known about their relationship, and he would know how this message would read - as proper social media debut/confirmation that they are together. Channing has bonafided Jessie. When you’re young, you bonafide someone new every semester. When you’re Channing Tatum’s age, with his Hollywood profile, probably you shouldn’t be bonafiding someone unless you’re sure that it’ll make it past at least a semester. It’s another indication that these two aren’t just casual. He certainly doesn’t sound casual. He sounds like he’s a big fanboy. There was also a post on his IG story about her performance. That’s why I’m now into it, Channing + Jessie. I’m into how into her work he is. We all get that, don’t we? It’s hot when someone is good at their job. It’s the advantage a musician has over an actor, I think. I mean, sure, stage actors perform live but they’re ostensibly in character. Musicians get to channel that electricity through own holograms and whether or not they’re authentic, the point is that, when it’s done well, you’re supposed to believe that it is. You can’t really create an equivalent of it on a film set. What Channing was expressing on social media then was how turned on he is by Jessie J when she’s doing her job, so much that he had to share it. Full infatuation is happening right now. 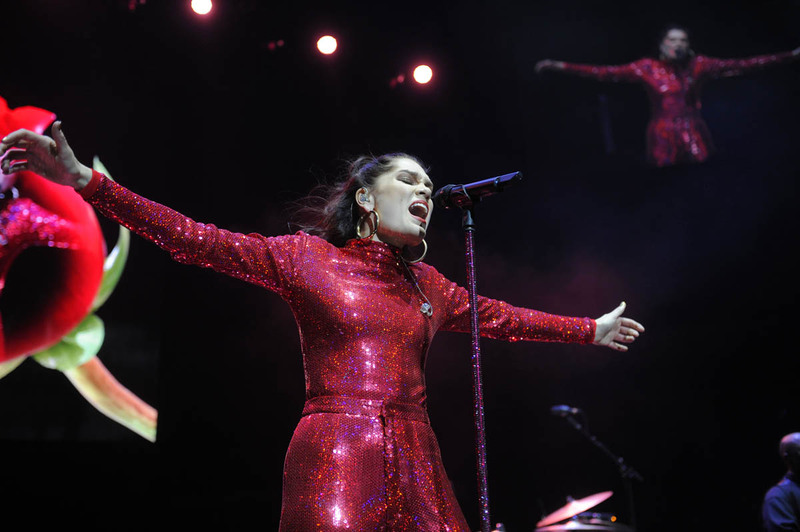 Here's Jessie performing in London yesterday.